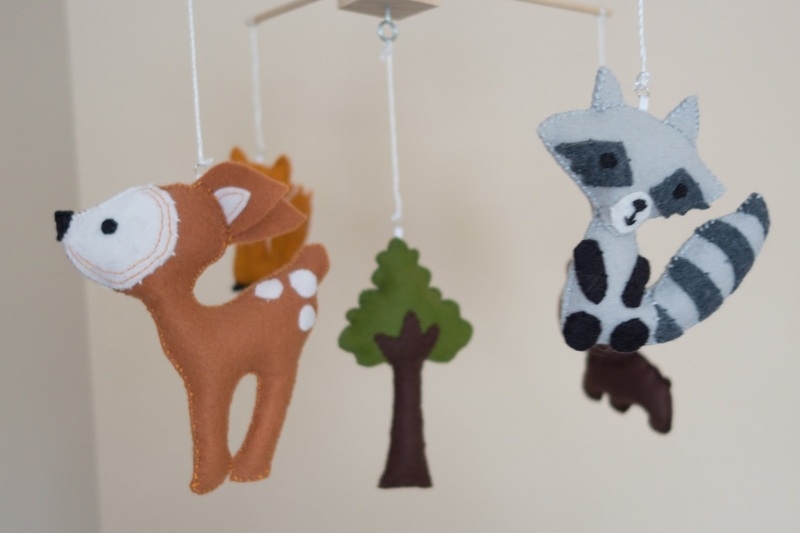 I made this mobile before Em was born (had lots of spare time back then, even if I didn't realize it at the time!) and since a couple of people asked me about it, I'd thought I'd share it here. 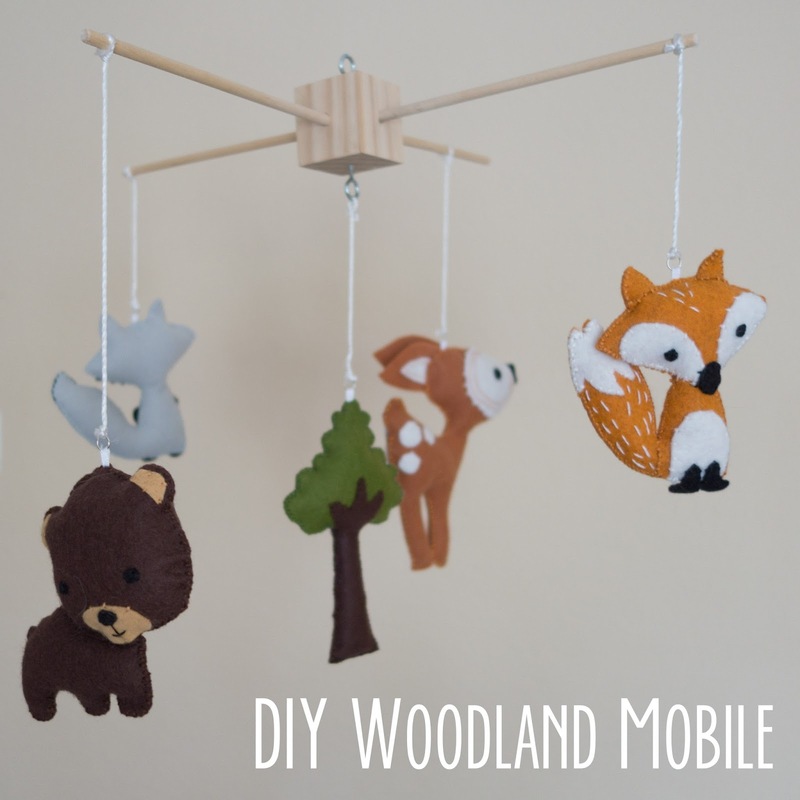 I knew I wanted a mobile for the nursery and had seen some beautiful, handmade ones on Etsy. This one in particular, I liked, but I couldn't afford the $80 price tag. The fox was first. I used the pattern and instructions from Abby Glassenberg's tutorial at Timeless Treasures. 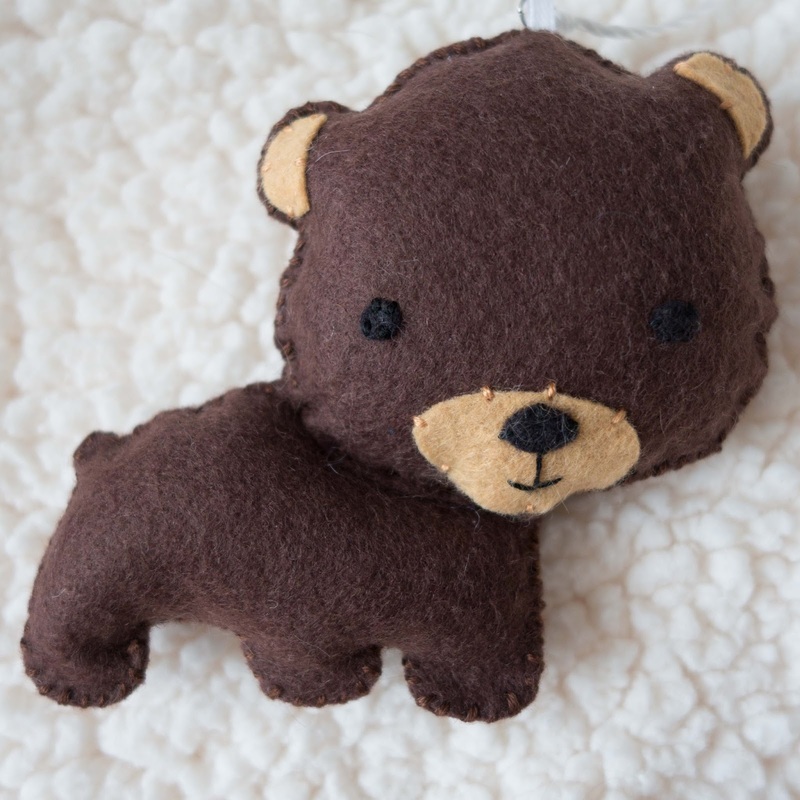 Since I hadn't made felt softies before, this was a good starting point. Next, I tackled the bear. 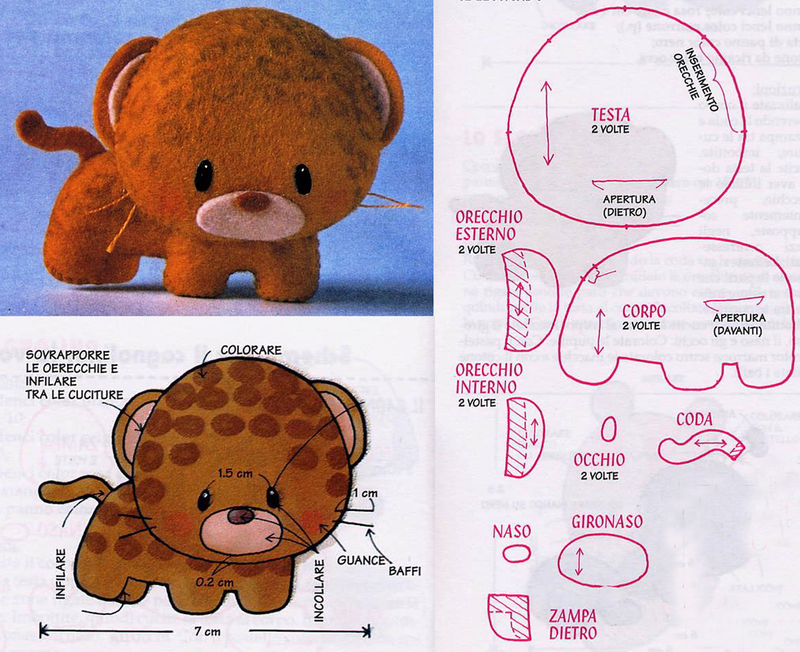 I used this pattern as a template for the bear, modifying it slightly (different ears, different eyes, different tail). 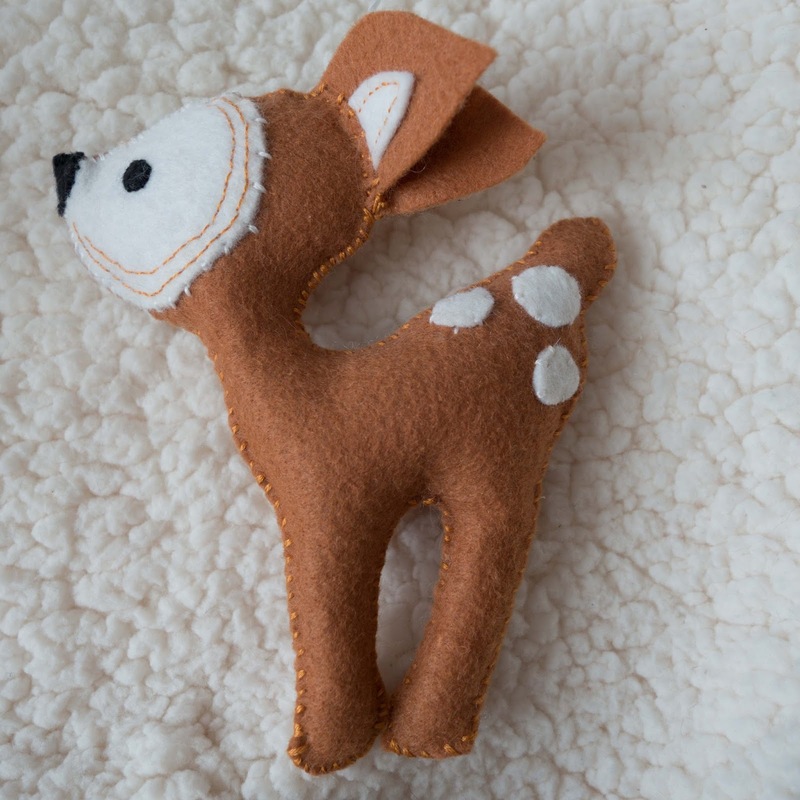 With two softies down I had a little more confidence and drew up a pattern for the deer which is similar to the one in the Etsy listing I liked. I thought hard about the last animal to make -- squirrel? hedgehog? owl?? I wanted to make an owl but couldn't find an owl pattern I liked. They all seemed bizarre or too cute. And hedgehogs, while cute, are a little scarce in California. 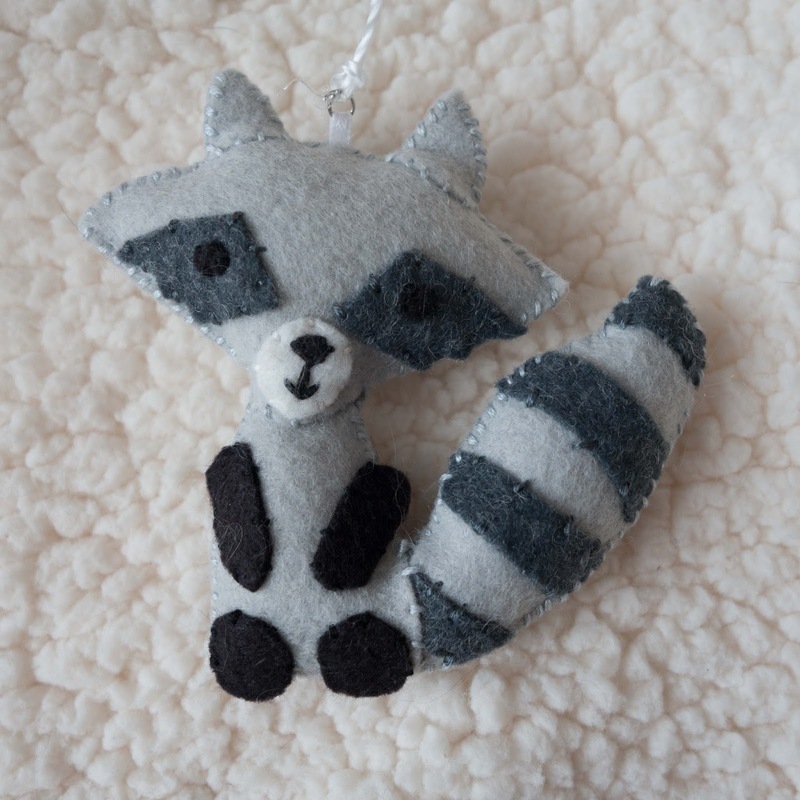 So raccoons, with their funny bandit masks, it was! 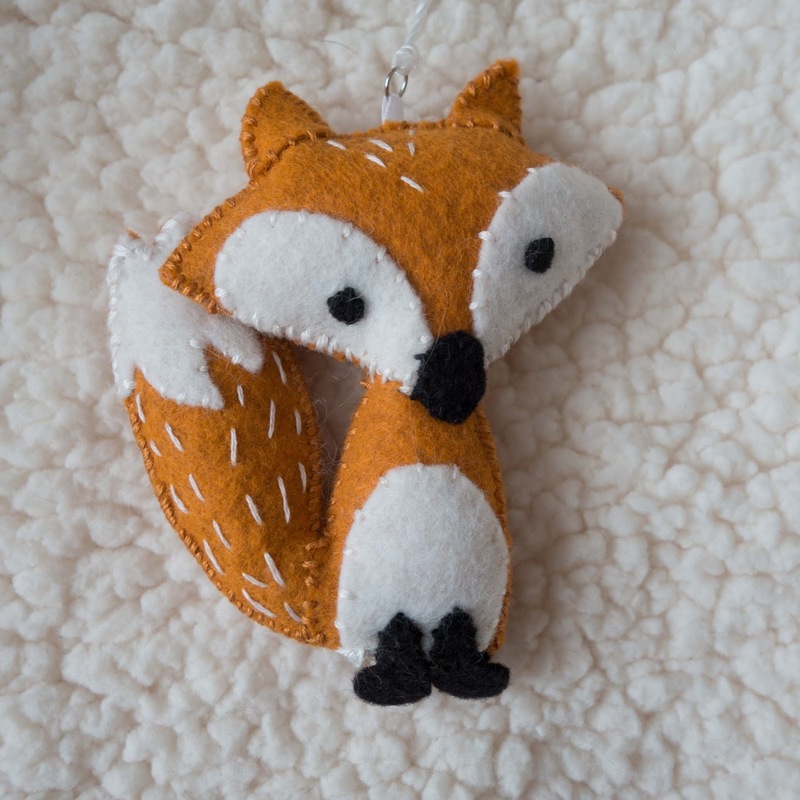 I used the same pattern as the fox as an outline, but reversed it, and added a mask, arms, and striped on the tail. For the center, I wanted a giant tree. It's supposed to be a Sequoia on a much smaller scale. 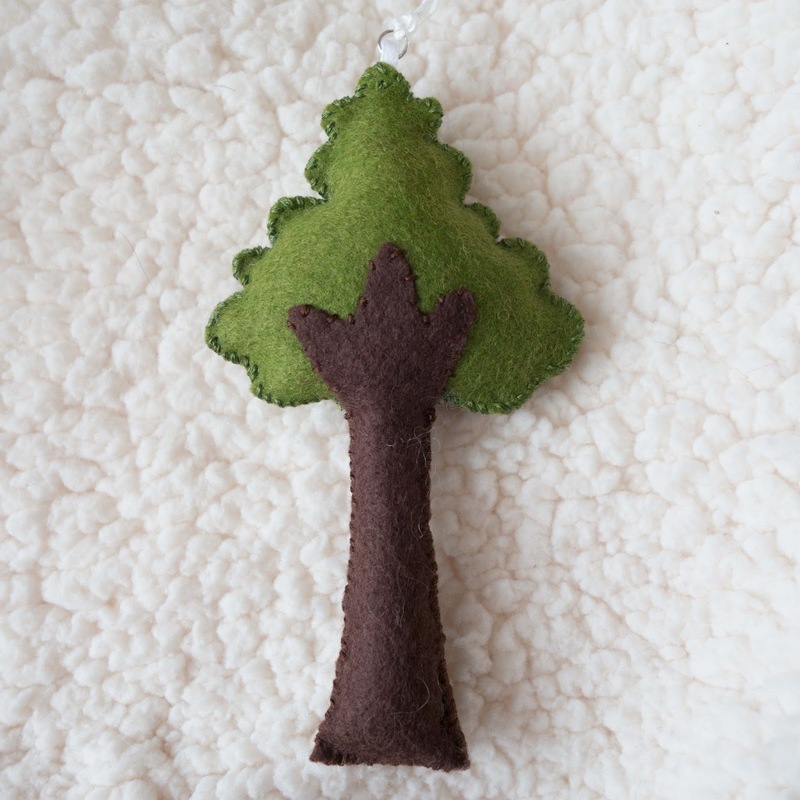 :) This one was the easiest: I just drew up a tree on a piece of paper similar in size to the other softies, cut out the felt pieces, sewed and stuffed it. I hand-sewed bits of thin ribbon on the top of each softie to make little loops to attach jump rings, so that I would be able to hang these with string. Making the mobile frame: To make the frame, I purchased a 2" wooden cube and 2 dowels at the local craft store. Holes were drilled into the cube and the dowels were inserted with glue. After stringing up the softies, the mobile was ready to go. After I removed the mobile from the crib, I still wanted to hang it. I ended up using a Command mini hook on the ceiling and hanging it above the changing table with fishing wire. M loves it and it's a good distraction while I try to change her! I'd love to hear about it if you decide to make one!